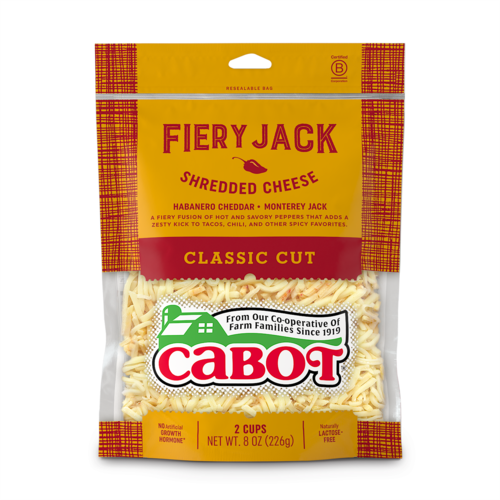 We've tamed the blaze of our Hot Habanero Cheddar with just the right amount of mild Monterey Jack for a smooth-melting mix that’s shredded and ready to add extra kick to your Mexican favorites—and more! Use it in standard south of the border fare, for sizzling hot tacos, nachos, and quesadillas. 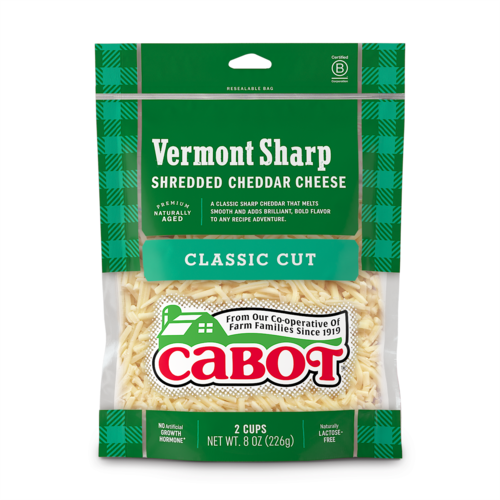 Sprinkle some into scrambled eggs to start the day with a bang, or sneak it into pot pies, Italian casseroles, and grilled cheese sandwiches. Get ready to sweat—this cheese is muy caliente! 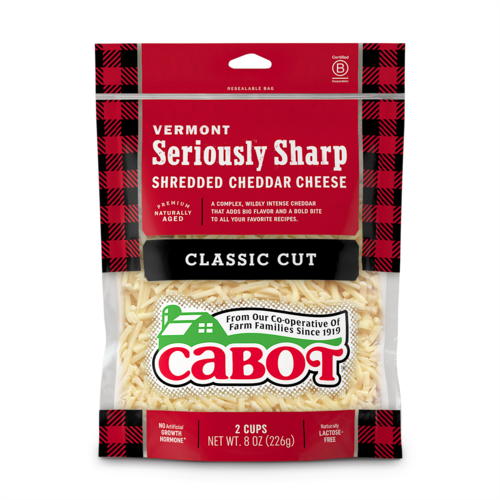 Ingredients: Monterey Jack Cheese (Pasteurized milk, cheese cultures, salt, enzymes. ), Habanero Cheese [ Pasteurized milk, cheese cultures, jalapeno peppers, salt, taco seasoning (spices, salt, garlic powder, green onion, citric acid, paprika, natural flavors), habanero peppers, enzymes. ], potato starch, corn starch and calcium sulfate added to prevent caking. Natamycin (a natural mold inhibitor).